If you are injured while in the hospital or otherwise under the care of a medical professional, you may be entitled to file a medical malpractice suit against the negligent doctor, nurse or other practitioner who caused your injuries. A Cleveland medical malpractice lawyer can help you determine your legal options and decide whether filing a claim for damages is the right choice for you. If you think you may have valid reason to bring a case, below are a few things to consider. 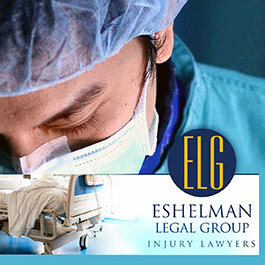 Medical malpractice suits can be brought for two reasons: medical error or medical negligence. A medical error is mistake made by the attending physician, such as operating on the wrong side of the body. Medical negligence involves providing substandard care, such as failing to diagnose a serious illness or failing to provide timely medical attention in an emergency situation. In general, you will bring a medical malpractice suit against the medical professional who provided substandard care and the organization whose care you were under at the time of the injury. If you were in a hospital, then you will bring the suit against the hospital; if you were in the care of a medical clinic or private practice then you will file the suit against that facility. Matters are further complicated by the relationship the physician has with his or her employer. For example, some doctors are on retainer at a given hospital and do not qualify as regular full-time employees. Knowing the practitioner’s relationship with the organization is essential to getting the compensation you deserve in a lawsuit. A Cleveland medical malpractice lawyer can help you find the answers to these questions and will fight to ensure your medical malpractice case is successful. Call (330) 376-3572 or toll-free at (800) 365-0001 now to discuss your potential case for free with a Cleveland medical malpractice lawyer at the Eshelman Legal Group.